Which Remodeling Projects Give the Best Return on Investment? A strong housing market isn’t necessarily all good news for sellers. As evidenced by Remodeling magazine’s newly-released Cost vs. Value Report for 2018, average return on investment (ROI) for remodeling projects dipped across the board, with “upscale” projects taking the biggest hit. The reason for the sweeping decrease in ROI isn’t immediately obvious, but Remodeling magazine’s editor-in-chief (and manager of the report) Craig Webb notes that it’s likely related to the strength of the housing market currently. “It’s not clear if…nationwide affordability concerns are leading (real estate) pros to question the value of renovations that would make a house even more expensive at resale,” says Webb. However, a silver lining from the report relates to when the data was compiled. Remodeling magazine put all the cost information together before the country was struck with several natural disasters, including massive forest fires and several hurricanes. Since then, building supplies and the price of skilled labor has increased, but that’s expected to change over the course of 2018. As a result, expect to see the ROI of most of these projects level out by the end of the year. Despite these events, some longtime trends continued through the new year. 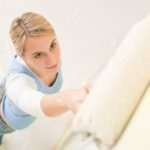 Remodeling is still far more cost-effective than replacement, but, according to real estate pros, replacing is still the way to go. This year, there’s a 20-point difference in ROI: 76.1 percent for replacement jobs, versus 56 percent for remodeling.